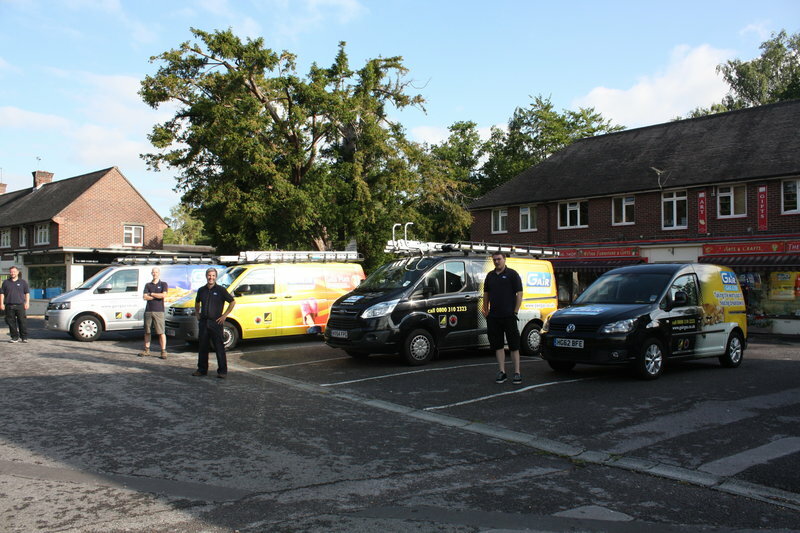 We also work with landlords and estate agents providing annual gas safety checks and repairs on all gas appliances. All our engineers are fully qualified Gas Safe registered and Gair Gas is a member of Hampshire County Council's 'Buy with Confidence' scheme. We are always happy to offer impartial advice to our customers on all aspects of gas heating, from new boilers to radiator sizes and we are now qualified to fit Worcester Solar Hot Water Systems! I was so pleased with the work from Gair Gas, they were very professional, prompt, efficient and got us back up and running with central heating really quickly. I would highly recommend them. We were looking to replace our old combi boiler (in the kitchen) with a new system boiler and unvented 300 litre hot water cylinder (commonly known as a megaflow). The challenge was that we wanted the new boiler and hot water tank to go in the loft! Space was tight and it was a very complex and challenging installation. I must say that Matt & Zain were absolutely amazing. They were professional, polite and respectful throughout the five days of the project. They had to make the loft hatch bigger which involved cutting a big hole in the ceiling and installing a new loft ladder for better access. Radiator valves were also installed on the existing radiators and a new, larger radiator was installed in the kitchen. I was really impressed with the efficiency of GairGas. All the parts for the job arrived on the morning of the first day. Matt’s soldering is the best I’ve ever seen (I’m a retired plumber). Another important point to mention is that Matt didn’t just take the easy option when it came to connecting to the existing system. He spent time and a lot of hard work in altering the existing pipework to make it simpler and more efficient. 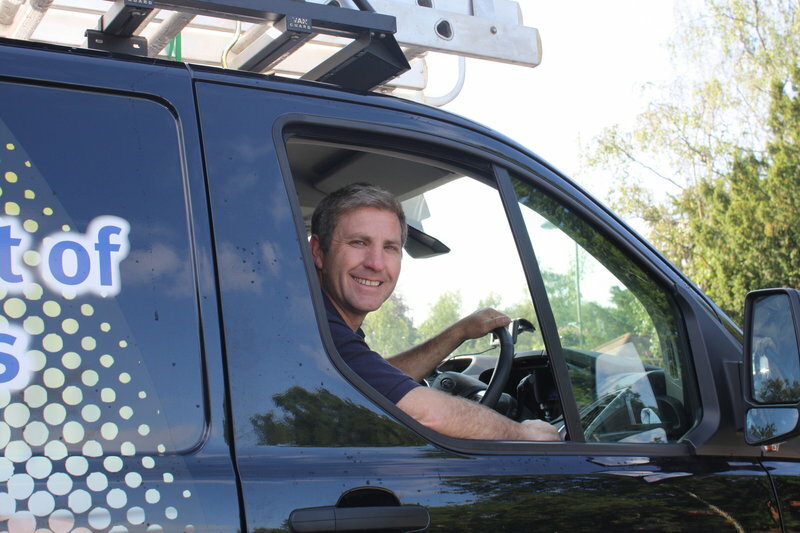 A week after the installation, Andy the boss popped round to get our thoughts and to check that everything was working fine. I would definitely recommend GairGas. On budget and completed on schedule. No job was too big or too small and the lads were a pleasure to have in the house. 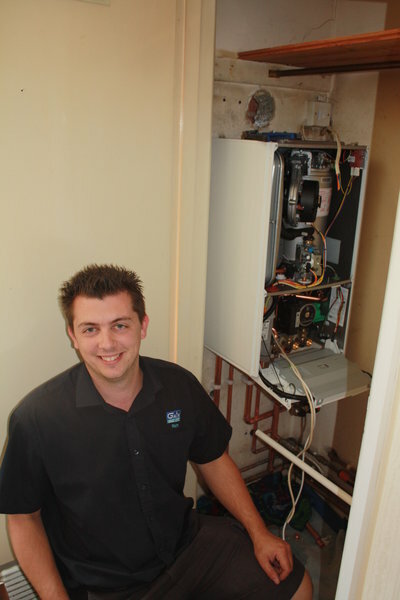 Installation of new boiler excellent professional and friendly service. First class quotation and help, prompt and punctual installation. Superb after care Inc. fixing a small problem quickly and efficiently. Gair Gas have serviced our 22 year old boiler for many years. It stopped working on Monday. Within two hours of a telephone call to the office Josh, an engineer, was on our doorstep. He did his best to fix the problem but bearing in mind its age we decided to have a new boiler. By Friday night it was fitted and working with the minimum of fuss. As always we are delighted with the efficient service that we have received from the company and staff and your engineers Josh and Zain are a great credit to you. We would not hesitate to recommend Gair Gas. Gair Gas fitted me a new boiler as mine was starting to be unreliable. They called to give me a quote and explained my options. The quote was phoned through within a couple of hours. They managed to arrange a fitter for the next day. The fitter and apprentice were extremely polite, friendly and respectful of our property. Did a brilliant job, explained everything to us and left the house spotlessly clean. A few days later, we received a beautiful bouquet of flowers from Gair thanking us for our custom. Fantastic customer service. Fantastic service from the team. Installation team were great, friendly and considerate. The speed of works and lead in time were amazing. Great value for money and a very happy customer. Gair Gas fitted a new gas boiler at short notice 4 days before Christmas. Excellent friendly service. Job completed extremely efficiently, in a timely manner and the property was left immaculately clean. Replacing a boiler. The old one was very old. Suggested several boilers, I chose one. They removed the boiler to another location in the house. Work was completed within the time started. They worked tidily and cleanly. The engineers were polite and friendly. Everything was explained and they listened. The work was completed within the time specified. Were trusted to work without me there. Would highly recommend.